Substance abuse isn’t just a problem that affects young and middle-aged adults. Senior substance abuse issues are on the rise, and the effects are devastating for population health and families affected by this serious disease. Addiction is now classified as a chronic disease, and a substance abuse problem that is left untreated is associated with poor health outcomes, higher risk of suicide, and increased healthcare costs. 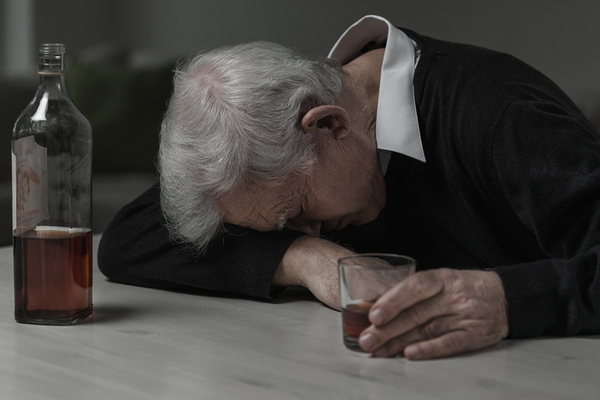 Here is some more information about how substance abuse is affecting older adults and the role that chronic care management services can play in both identification and treatment direction. Population health is likely to continue suffering due to untreated substance abuse in this country. Currently, it’s estimated that there are approximately 6 million older adults with a substance abuse problem and that number is expected to double by the year 2020. Whether it’s alcohol, prescription drugs, or something else, the result is the same – deteriorating mental and physical health, and often premature death. When a substance abuse problem goes untreated in a younger adult, that person can often continue for many years without severe health concerns. This isn’t the case with seniors. A senior with a substance abuse problem is much more likely to be in poorer health, need more frequent physician visits and hospitalization, have higher rates of disability and impairment, and experience higher mortality rates. When older adults have other chronic diseases, adding substance abuse to the mix doesn’t create positive outcomes. Bodies change with age, meaning metabolism slows down, there is less lean muscle mass, and a resulting increased sensitivity to drugs and alcohol. According to the American Society for Addiction Medicine (ASAM), older patients who abuse drugs or alcohol have a greater chance of experiencing such adverse symptoms as respiratory depression and constipation. It can become much more serious, however. Drug use and abuse are more likely to bring older patients into emergency rooms and create conditions requiring hospitalization. SAMSHA reports that, between 1997 and 2008, the rate of hospital admissions for patients between the ages of 65 and 84 that were related to prescription drug abuse and illicit drug use rose by 96 percent. The same agency reported that medication misuse or abuse could lead to both dementia and drug-induced delirium. These same patients are also at a higher risk of fatal overdose and suicide. Chronic Care Management services can help identify substance abuse issues in older adults. When an older adult suffers from more than one chronic condition, they become eligible under Medicare for Chronic Care Management (CCM) services. These services can help identify some substance abuse disorders in patients, leading to better population health outcomes. When a care coordinator delivers CCM services, they will look for signs of senior substance abuse. Medication reconciliation is accomplished during each session, which can help identify if a patient is being compliant with medication protocols and whether or not they are receiving medication from multiple physicians. Other signs to look out for include increased cases of dizziness and falling, unexplained changes in sleep patterns and appetite, new instances of agitation or confusion, and unresponsiveness to contact attempts. Substance abuse among seniors is a growing and serious issue that has far-reaching consequences for population health. Chronic Care Management services can help identify many of these cases and alert primary care providers to potential issues that will affect patient outcomes. Contact us with any questions about our services or request a free consultation now.